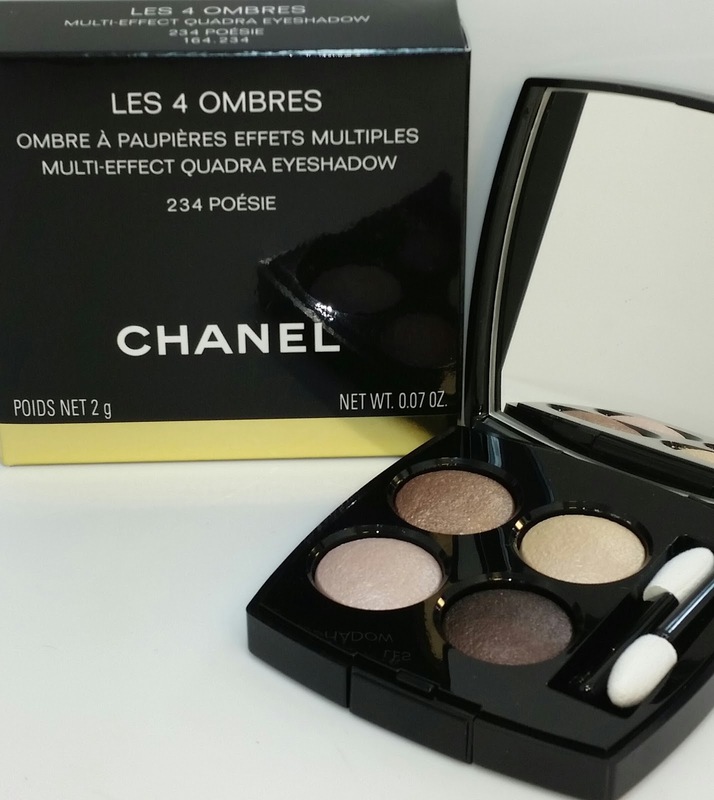 234 Poesie is a new Chanel Les 4 Ombres Multi-Effect eyeshadow quad. 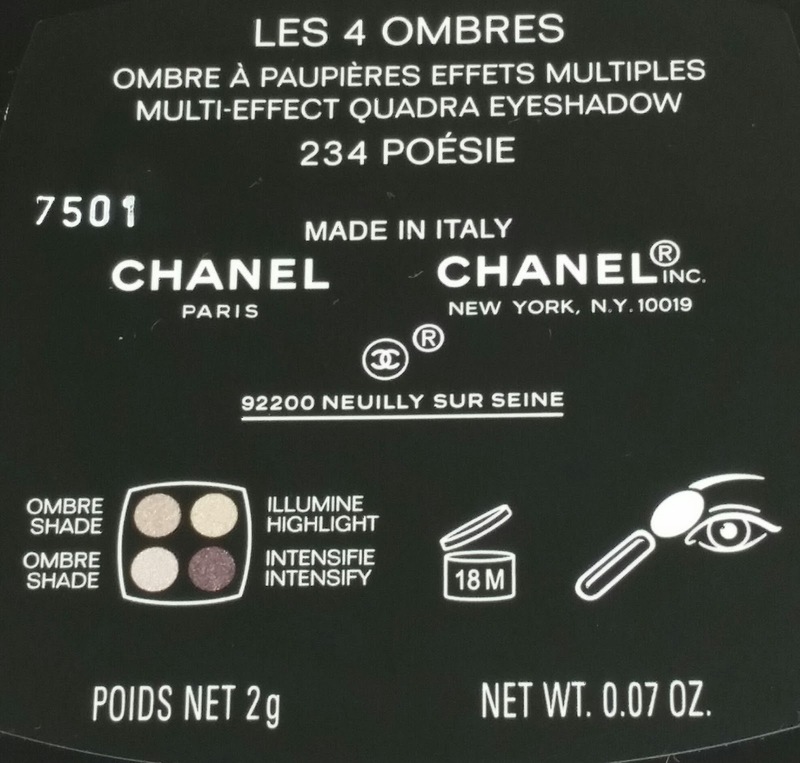 In addition to the limited edition Poesie, Chanel released eight new quads reformulated without talc and with a longer lasting eyeshadow formula. Check out the link below to read about the entire collection. These new quads are extremely pigmented and typically last a total wear time of eight to ten hours. The quads currently retail for $61.00 USD and they contain .07 oz of product. The Poesie quad is described as a mixture of brown, beige, pink, and burgundy colors. The top right shade is more of a warm golden beige, the top left shade is a medium brown, the bottom right shade is a dark brown with slight reddish plum undertones and the bottom left shade is a pale pink. This quad has excellent color payoff, lasted a wear time of twelve hours with no creasing and only required an eyeshadow base for a vibrant application. 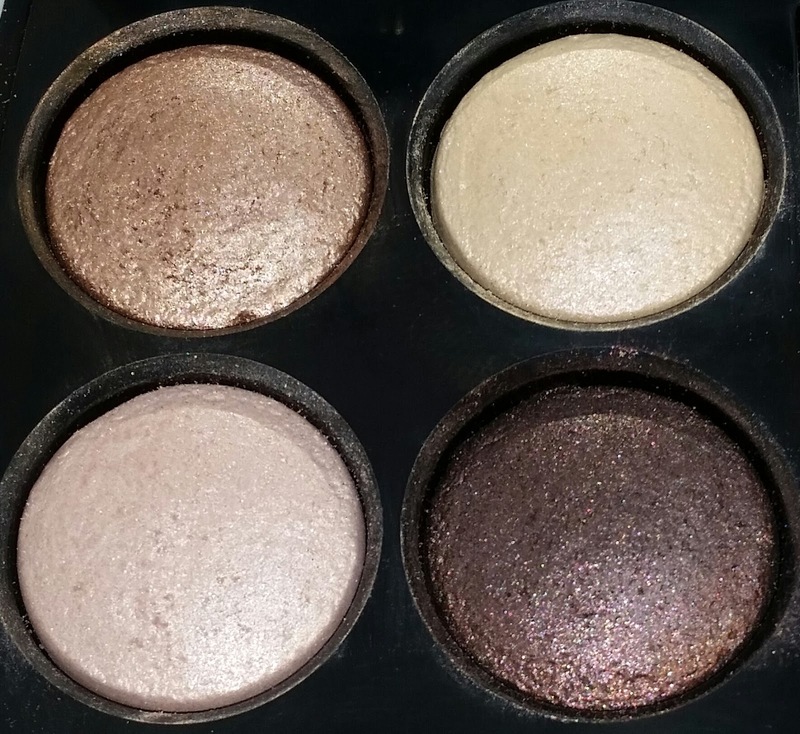 The more I have used these new quads I am finding that a good eyeshadow base can really bring out the vibrant color more so than using them wet. Final thoughts - I had the opportunity to see and swatch all nine of the quads this past week. They are all gorgeous and offer an array of color combinations to choose from. Some of the newer quads look similar to the older quads which is true but the formula for these make them a must have (no more chalky formula!). They also look and swatch better in person so if you have the opportunity it is worth the trip to check them out.